Allen W. Madeira is the owner and president of Berks Envirotech, Inc. and Envirotech & Associates, Inc. as of March 2014. 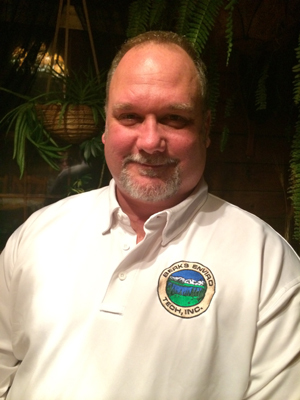 Originally hired in 1990, he became a PA licensed Sewage Enforcement Officer and Building Code Official. He also holds several other professional certifications. Allen is responsible for the day to day operations of Berks Envirotech, Inc. and Envirotech & Associates, Inc. He has more than twenty-five years of Municipal, Building, Zoning and Enforcement experience, representing various municipalities in Berks, Lancaster, Schuylkill and surrounding counties. Responsibilities include serving municipalities as their appointed Sewage Enforcement Officer, Zoning Officer, Building Code Official and Property Maintenance Code Enforcement Official. Projects have included a full range of SEO services including subdivision planning module reviews, Act 537 sewage needs analysis, permitting and inspection of hundreds of sewage systems, as well as on-lot sewage system designs, construction and zoning permits, building and zoning inspections and storm water consulting and design. Since 2007, Allen has served on the Board of Directors of the Hamburg Our Town Foundation, a community revitalization Organization. He serves on various committees as the need arises and he is also the Chairman of the Hamburg Area Arts Alliance. Allen is a practicing artist and a Pa certified K-12 art teacher. He teaches privately or for the Arts Alliance from time to time. Our associates include professional civil engineers (Witman Engineers & Consultants, LLC. ), licensed professional surveyors, soil scientists, and other environmental specialists. If your project requires consultation on endangered species or wetlands, we can help. With the relationships we have developed, we can put together a team to meet your project's specific needs.